2011 to 2012 started with the continuing downturn in the economy. Fear that there would be a decrease in the income to the charity last year was not realised but this year there is a £4000 drop in income from the previous year. A number of projects and activities have been undertaken during the year. Most will be continued into 2012-2013. Again this year we saw increased profit from our sustainable project based on local agriculture. The profit after allocating funds to re-work the same acreage at the end of 2011 was 52%. The number of acres now under cultivation (2012) has risen to 26 from 13 (2011). The purchase of an additional piece of land adjacent to the existing site with the generosity of the local MP in Moi’s Bridge fell through and after some hard work by Maurice, all monies paid were refunded. This money has been invested in the sustainable agricultural project mentioned above. The school numbers have remained stable this year. 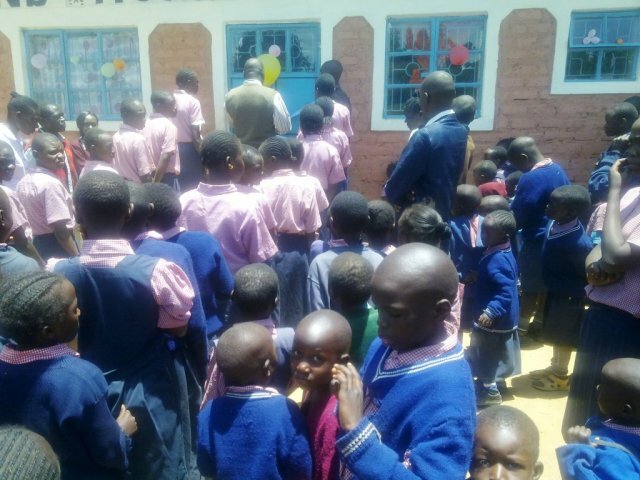 It was felt that getting the existing school into a position of self sufficiency was a priority. The formal registration of the school achieved in 2011 meant that our grade 8 children sat formal, nationally recognised examinations. 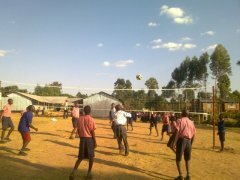 Of the 17 children in grade 8, 14 passed with high marks and are eligible to go to Secondary School providing funds can be found. Three failed to get enough marks to move on so we have offered them another year in grade 8. Not bad for children who have had disrupted schooling. As we reported last year, local funding was not available and there seems no indication that it will return. During 2011, national pay scales for teachers principally, but impacting on others working in schools were revised. This has virtually doubled our wages bill for 2012. Additional costs for food caused by global shortages and price increases has also impacted on running costs. Like the wages bill, the food bill as almost doubled. Despite this impacting on the final quarter of the year, we were able to build additional toilet facilities recommended by the local government school inspectors. Last year we reported the problems faced at the very end of that year when in March 2011, 94 of our pupils were made homeless. It became clear that the relocation of these children was a cause for concern. 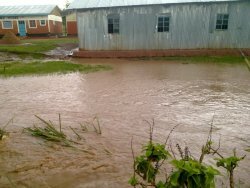 The building constructed for the poultry project now acts as a dormitory for a number of boys. This if funded by the local church. There was an increasing issue about the treatment of some of the girls who had been relocated. A number were suffering various levels of abuse. We decided to build a children’s home on the school site. The plans were for a 14 bed building with accommodation for house parents. Quotes were gathered and the local authority consulted. Work started in May 2011 and was completed in September 2011 with a formal opening on the 1st of October. Electricity was installed and the home named the James Murray Children’s Home. 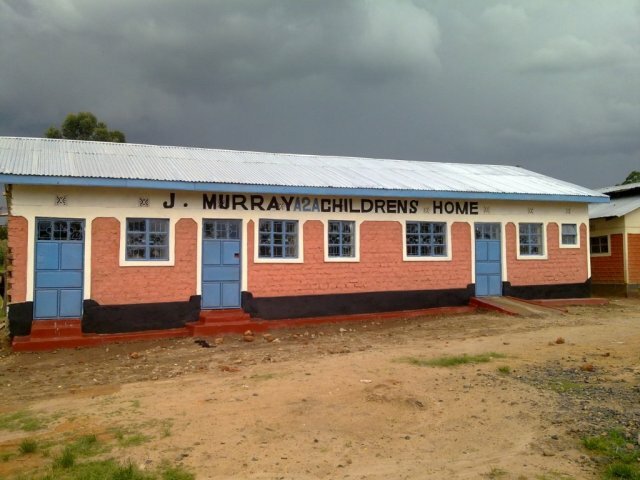 This marks the generous donations by the Murray family who made the children’s home a reality. 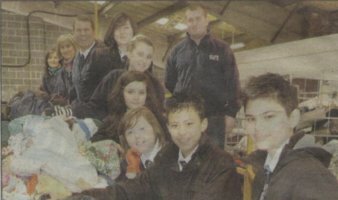 During the year we continued to receive support from the group of pupils from the school in Wakefield working with the clothing recycling company. They have set up a company called C4CC. A huge Thank You to all who have supported us in any way during the 2011-12 financial year. It's quick and easy! amounts of £1, £2, £3, £4, £5 or £10can be donated this way - please try it, even if only with a £1 donation. £1 would pay for 2 metres of replacement fencing. This coming year's challenge is to improve the security of the school site. Please consider becoming a regular giver to our work. £7 a month pays all costs to give a child and education, clothes and food. 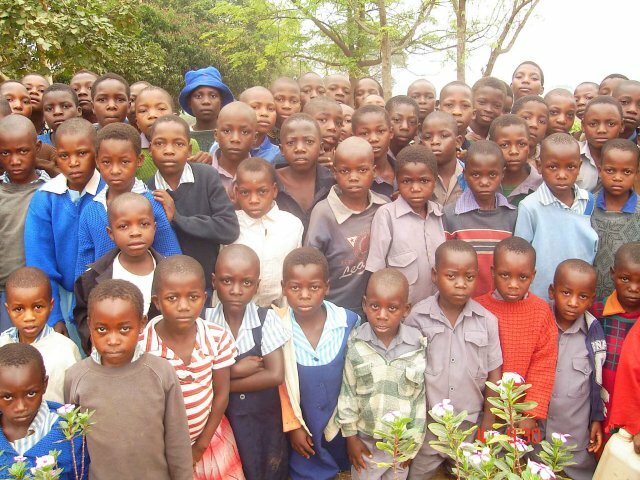 Email for details of how to make this life changing gift to a child in Africa. WEC children celebrating the visit last summer by UK teacher Natalia. 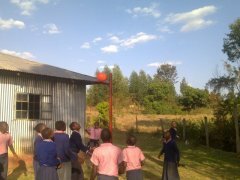 The opening of the children's home in October - below the home. 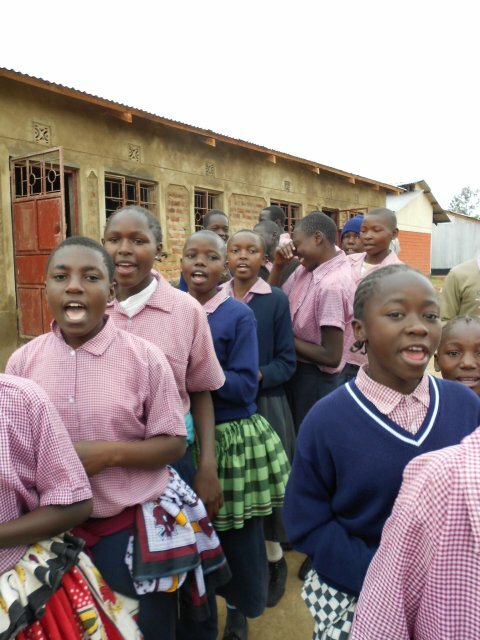 All Saints CofE Primary School in Coventry donated money raised at Christmas to the school in Kenya. it has bought much needed games equipment.